Over the past three weeks, we have just put into stock some pretty huge Godfather auto knives. 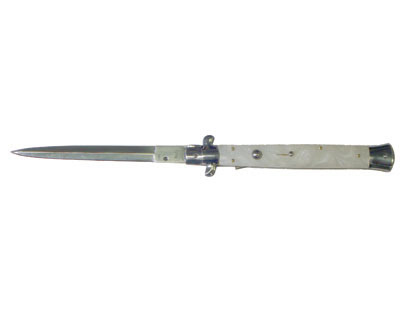 These auto stiletto knives are 13″ long when open. They have great action. They open fast and are a whole lot of fun. We have them available in black wood, red pakka wood, or white pearlex scales. Check these monsters out.